All items are guaranteed to be as described and may be viewed on approval. Payment plans are available. 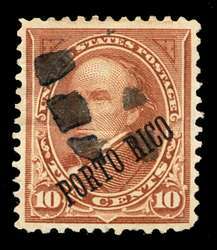 IMAGES: Hover mouse pointer over image to determine if ACTUAL image of item OR a REPRESENTATIVE sample image of item. Scott #210a, 25 degree angle, Mint F-VF. 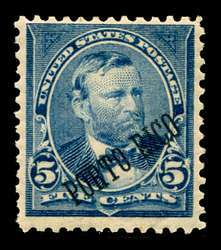 Scott #212, 1899 5c blue Grant. Mint F-VF. 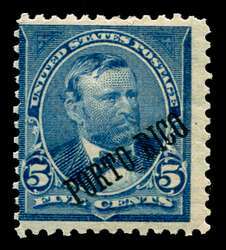 Scott #212, 1899 5c blue Grant. Mint Fine. 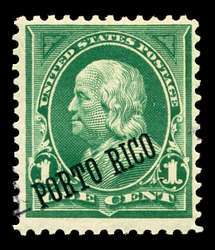 Scott #213, 1899 8c violet brown Sherman. Used F-VF+. 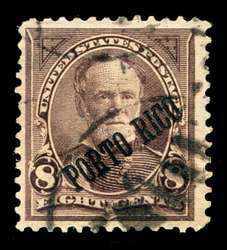 Scott #214, 1899 10c brown, type I Webster. Used XF centered with crease and couple of shorter perfs. I respect your privacy: Email, Privacy, and Data Security Policy.